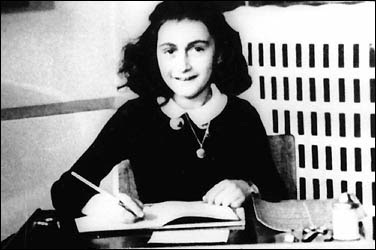 Welcome to Linda Ikeji's Blog: Remembering Anne Frank. I came across this name some weeks ago and I promised myself to find out more about this little girl whose story and writings made a difference in the lives of troubled and rebellious teenagers in the 'Freedom Writers' story. They read her book, which she wrote in form of a diary as a teenager in the Holocaust years in Germany and were inspired to change their lives for the better. Those of you who have seen the movie 'Freedom Writers' know what I'm talking about. Anne was was a Jewish girl who wrote a diary while in hiding with her family and four friends in Amsterdam during the German occupation of the Netherlands in World War II. Anne Frank was born on June 12, 1929 in Frankfurt am Main, Weimar Germany, the second daughter of Otto Heinrich Frank (May 12, 1889 – August 19, 1980) and Edith Holländer (January 16, 1900–January 6, 1945). Margot Frank (February 16, 1926 – March, 1945) was her sister. Her given name was Annelies Marie, but to her family and friends, she was simply "Anne"
For her thirteenth birthday on June 12, 1942, Anne received a book which she had pointed out to her father in a shop window a few days earlier. She began writing in it almost immediately, describing herself, her family and friends, her school life, boys she flirted with and the places she liked to visit in her neighborhood. She also refers to changes that had taken place since the German occupation. In some entries Anne provides more detail of the oppression that was steadily increasing. For instance, she wrote about the yellow star which all Jews were forced to wear in public, and she listed some of the restrictions and persecutions that had encroached into the lives of Amsterdam's Jewish population. In July 1942, Margot Frank received a call-up notice from the Central Office for Jewish Emigration) ordering her to report for relocation to a work camp. Anne was then told of a plan that Otto had formulated with his most trusted employees, and which Edith and Margot had been aware of for a short time. The family was to go into hiding in rooms above and behind the company's premises on a street along one of Amsterdam's canals. In addition to providing a narrative of events as they occurred, she also wrote about her feelings, beliefs and ambitions, subjects she felt she could not discuss with anyone. As her confidence in her writing grew, and as she began to mature, she wrote of more abstract subjects such as her belief in God, and how she defined human nature. She continued writing regularly until her final entry of August 1, 1944. On the morning of August 4, 1944, Anne and her family's hiding place was stormed by the German Security Police following a tip-off from an informer who was never identified. the group included at least three members of the Security Police. The occupants were loaded into trucks and taken for interrogation. The members of the household were taken to the Gestapo headquarters where they were interrogated and held overnight. On August 5, they were transferred to the House of Detention, an overcrowded prison on the Weteringschans. Two days later the eight Jewish prisoners were transported to Westerbork, The Netherlands. Having been arrested in hiding, they were considered criminals and were sent to the Punishment Barracks for hard labor. On September 3, the group was deported on what would be the last transport from Westerbork to the Auschwitz concentration camp. They arrived after a three days' journey, and were separated by gender, with the men and women never to see each other again. Of the 1019 passengers, 549 people-–including all children under the age of fifteen years-–were selected and sent directly to the gas chambers where they were killed. Anne had turned fifteen three months earlier and was spared, and although everyone from the Achterhuis survived this selection, Anne believed her father had been killed. With the other females not selected for immediate death, Anne was forced to strip naked to be disinfected, had her head shaved and was tattooed with an identifying number on her arm. By day, the women were used as slave labour; by night, they were crowded into freezing barracks. Disease was rampant and before long Anne's skin became badly infected by scabies. On October 28, selections began for women to be relocated to Bergen-Belsen. More than 8,000 women, including Anne and Margot Frank and Auguste van Pels, were transported, but Edith Frank was left behind. Tents were erected to accommodate the influx of prisoners, Anne and Margot among them, and as the population rose, the death toll due to disease increased rapidly. In March 1945, a typhus epidemic spread through the camp killing an estimated 17,000 prisoners. Witnesses later testified that Margot fell from her bunk in her weakened state and was killed by the shock, and that a few days later Anne was dead too. They estimated that this occurred a few weeks before the camp was liberated by British troops on April 15, 1945, although the exact dates were not recorded. 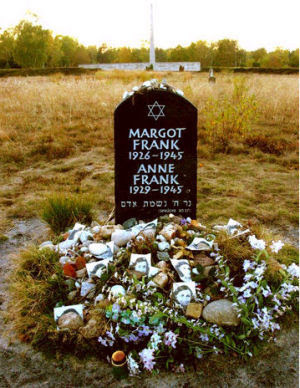 The camp, after liberation, had to be burned due to the epidemic, and Anne and Margot were buried in a mass grave, the exact whereabouts of which are unknown. Statue of Anne Frank, by Mari Andriessen, outside the Westerkerk in Amsterdam. Anne's father, Otto, the only survivor of the group, returned to Amsterdam after the war ended, to find that her diary had been saved. He had it published in Dutch under the title Het Achterhuis: Dagboekbrieven van 12 Juni 1942 – 1 Augustus 1944 (The Backhouse: Diary notes from 12 June 1942 – 1 August 1944). It was published as The Diary of a Young Girl and eventually translated from its original Dutch into many languages and became one of the world's most widely read books. 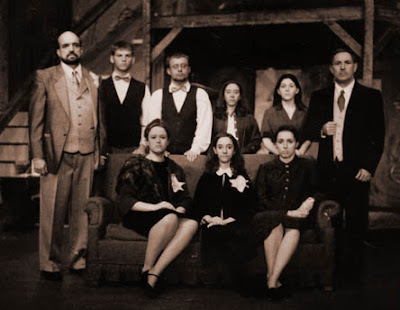 There have also been several films, television, theatrical productions, and even an opera based on the diary. Described as the work of a mature and insightful mind, it provides an intimate examination of daily life under Nazi occupation and in hiding; through her writing, Frank has become one of the most renowned and discussed of Holocaust victims. 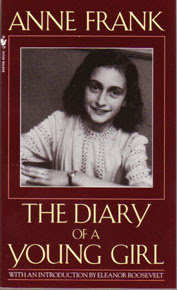 Over the years the popularity of the diary grew, and in many schools, particularly in the United States, it was included as part of the curriculum, introducing Anne Frank to new generations of readers. I'm inspired by this young girl who wrote down her thoughts and experiences despite being faced with the most unfortunate things to happen to man, war and death. Such courage give me strenght. May her memory live forever. Read up to half and got tired. To be able to achieve all that she did at her time is quite commendable, to say the least. I've read the "Diary Of Anne Frank" loads of times & its a sad story. I was even more saddened when i found out that the diary was real not fiction. It was also sad to know that she died some weeks before the camps were liberated & that her father was the only survivor. According to the news, another diary has been found of another Jewish girl. Can't remember her name at the moment but if you want to know more, search for it on yahoo news. 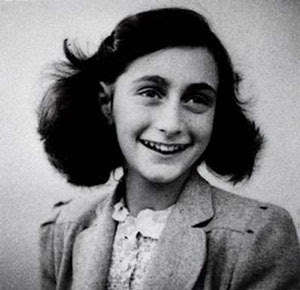 The girl was the same age as Anne Frank & her father (like Anne's father) was the only one to survive the Holocaust. Its really sad that things like this happened. Its even more sad that there are people who actually say that the Holocaust never happened. Like the president of Iran Mahmoud Amedinajab. i've had ur blog on my reader for bout a week or so, and I've been meaning to comment. Anyway great write up on anne frank, and I'm actually curious as to whether u've read the diary?